Living with diabetes can present multiple challenges with everything from medications to meal planning. A large part of your success as a diabetic will also depend upon how you handle the challenge of managing your diabetes testing supplies. A few simple tips on using these supplies in addition to following the manufacturer’s directions can help to ensure that you meet these challenges. Your supplies are really the backbone of your diabetic management plan. Therefore, a certain amount of planning and organization is vital, particularly in regards to ordering your supplies on time. Utilize whatever organizational method you’re comfortable with. Write it down on a calendar, use the reminder function on your cell phone, and if you need more in-depth help, joining a diabetic support group may be able to provide you with the organizational assistance you need. By putting some thought and effort into planning the ordering of your supplies, you can rest with piece of mind that you’ll always have your supplies at hand when needed. Dealing with those little test strips can be enough to try anyone’s patience. Starting with the basics, such as verifying expiration dates and checking programming codes against your glucometer, can help to prevent additional frustration. Try placing a small tissue or white napkin on the corner of the surface where you’ll be working, then pour your test-strip out onto it. This helps in being able to see the pesky little things. Although testing on yourself doesn’t require the use of gloves, the surface of many disposable, properly fitting gloves can make picking up the test strips easier. You can also use a pair of tweezers. When preparing to test your glucose, washing hands with soap and water certainly is important, and ideal. However, often the real world doesn’t provide you with optimal opportunities. Alcohol can also make an effective cleanser. If all else fails, there is no nearby running water, and you don’t have any alcohol pads, then many people wipe off the first sample of blood, and use the second, reasoning that it should be at least less tainted than the first. 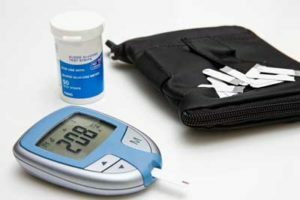 By using a little forethought, organization, knowing and following the manufacturer’s directions, and applying a few simple tips, you can successfully meet the challenge of managing your diabetes.